With the help of his Dalhousie Accelerate supervisors, Professor David Roach from the Rowe School of Business, and Professor Jan Haelssig from the Faculty of Engineering, Hamed has started a company to develop technology that will make continuous positive airway pressure (CPAP) therapy more comfortable for patients. “The gold standard for treating sleep apnea is CPAP machines. However, patients don’t use the machines because they are very uncomfortable,” explains Hamed. Over one in four Canadian adults is at risk of suffering from sleep apnea, which causes pauses in breathing or shallow breaths while they sleep. It’s usually a chronic condition that leads to poorer quality of sleep over time, and if left untreated, increases chances of stroke and heart disease. Taking a cue from a Dalhousie alumnus, a founder in the company he’s partnered with for his Accelerate project, Hamed came up with a novel idea: a device that makes sleep apnea machines more personalized for users. His start-up, NovaResp Technologies, focuses on this approach to CPAP with a device that uses sensors to continuously tune the sleep apnea machine according to each patient’s need. 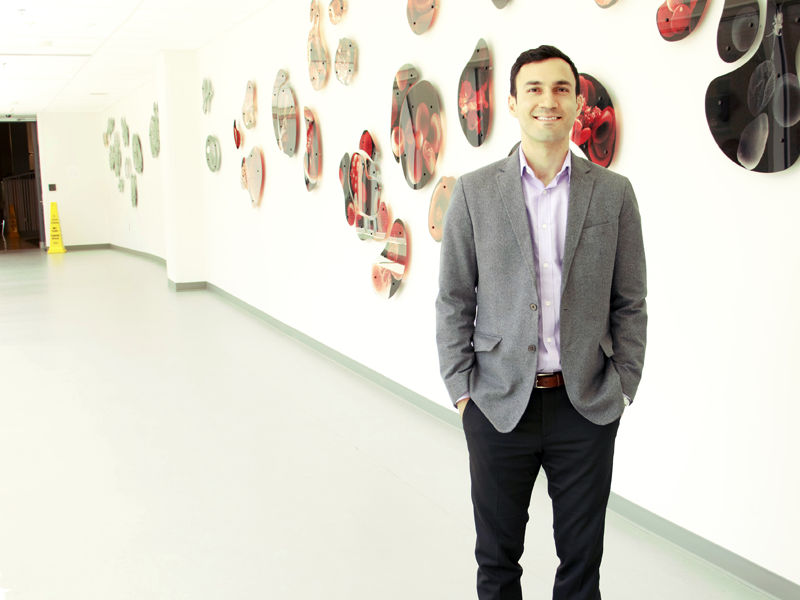 When his Mitacs Accelerate project is done, Hamed plans to develop a prototype, and then start a pilot study with patients in Halifax. “Mitacs provided me with the support I needed to embark on my own project, take part in business pitch competitions, and apply for funding to continue my business,” cites Hamed. Mitacs thanks the Government of Canada and the Government of Nova Scotia for their support of the Accelerate research internship in this story. Across Canada, the Accelerate program also receives support from Alberta Innovates, the Government of British Columbia, the Government of New Brunswick, the Government of Newfoundland and Labrador, the Government of Ontario, the Government of Prince Edward Island, the Government of Quebec, the Government of Saskatchewan and Research Manitoba.